The week of yard-sale tales continues with another item from my recent ephemera haul at a neighbor's sale. See yesterday's post for the complete skinny. 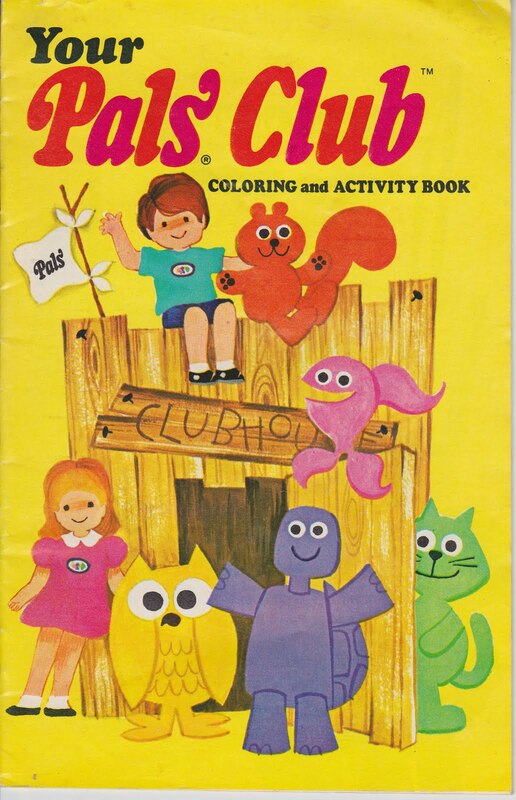 Item #3: "Your Pals Club"
The book contains what you'd expect from an activity book. It has coloring pages, connect-the-dots, tips about being a good citizen, rhymes, mazes and puzzles. We're your pals, Pals are we, in your vitamin, vita-minagerie! In the worst ending I've come across since "Signs,"2 it turns out these colorful critters were animal shapes in Pals vitamins, from Bristol-Myers. Randolph, Hoot, Fanny and the Bristol-Myers gang were certainly no rival for Flintstones Chewable Vitamins, which were introduced in 1968 and beat Pals vitamins in both sales and early commercial quality. Flintstones then continued to steamroll the children's vitamin competition with "We are Flintstone kids! Ten million strong and growing!" and the addition of Betty Rubble to the stable of vitamin shapes in 1995. On deck from the yard-sale haul: Painting without paints and a 1954 school safety guide. 1. Barbara Shook Hazen has written many books, including the 1958 Golden Books version of "Rudolph The Red-Nosed Reindeer." 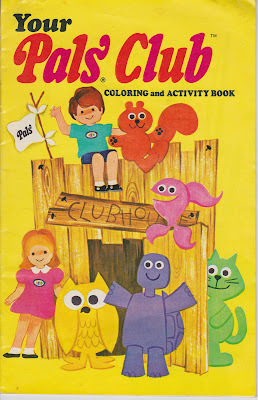 But she doesn't mention the Pals Club in her online biography. 2. Water kills them? Really? 3. I also stumbled across this script for a Pals vitamins commercial, which I believe was used in an advertising class.